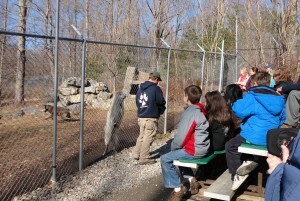 Today we drove to South Salem, NY to visit the Wolf Conservation Center. There we spent about 30 minutes listening to various stories of wolves from mythology around the world. Then we went outside to visit the wolves at the sanctuary. Will and Ben were excited to get to see wolves (and Will especially, since he loves wolves). 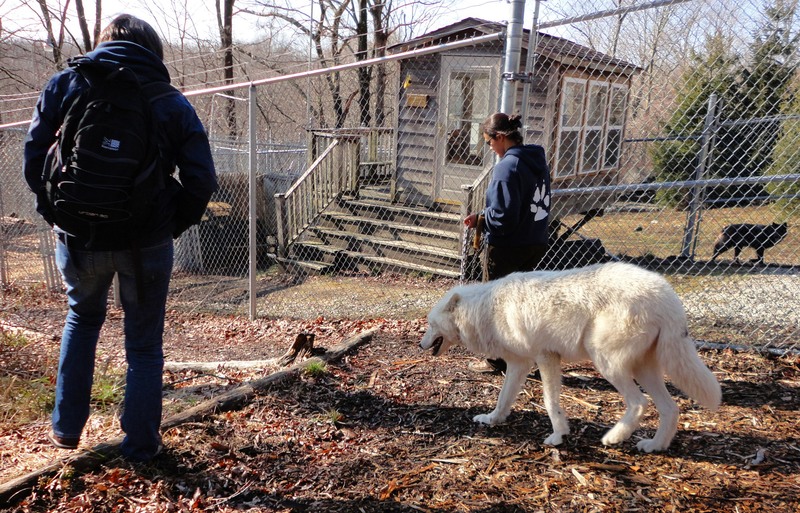 Outside we watched the arctic gray wolf, Atka as he was walked by on his way to an event in Rhode Island today (he visits 160 events a year off the sanctuary). 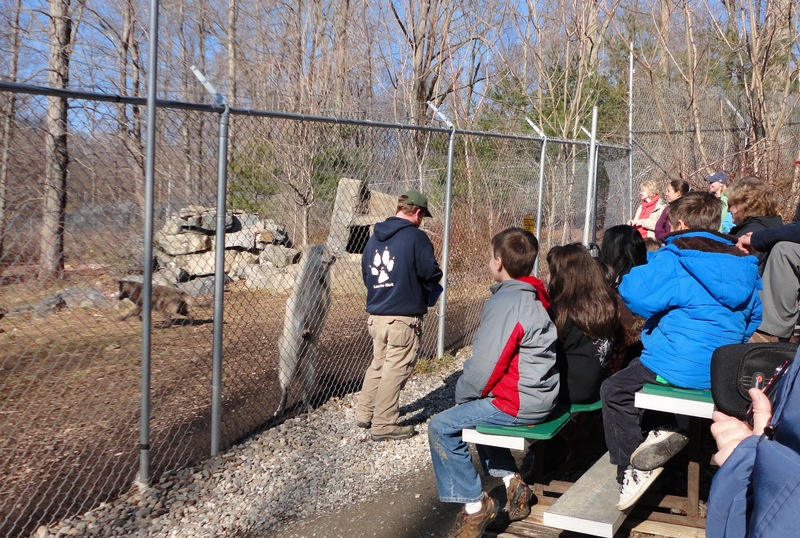 We then met two more grey wolves, Alawa and Zephyr and listened to a very informative talk about wolves and wolf behavior. From the ambassador wolves (the more common gray wolves are not bred, but are kept as wolf ambassadors – never reintroduced to the wild and raised to be used to humans nearby), we headed up the hill to the pens with the pairs of Mexican gray wolves and the pen with the red wolves. Here we learned that this center has two of the five (hopefully) captive breeding pairs of Mexican gray wolves in the world. There are only approximately 400 of these wolves left, with most being in captivity. The stock of Mexican gray wolves came from a total of 7 surviving wolves in the 1970s. We were able to see the Mexican gray wolves from a distance, and on the way out, catch a glimpse of the red wolves. The wild wolves are very timid around humans. Overall, we had a great day. It was a perfect visit and well worth the 2-hour drive each way.